In the early stages, dancers are taught the names and techniques of the essential steps, following the I.D.T.A. syllabus. They will also learn about rhythms and how to build up to basic routines, both on the spot and travelling steps. As the student progresses, the classes become more structured, focusing on technique, self-control and discipline to be able to follow instructions to become a successful and mature dancer. As they progress students will be introduced to more complex steps, such as Timesteps, Shuffle, Brush and Pick-Up. More technique is covered at this level, yet still keeping the fun element with mime and characterisation. Our classes are taught in a relaxed and safe environment and are suitable for the absolute beginner, right up to the seasoned expert. Even the most timid dancer soon gains confidence. Students will have the opportunity to interact and make new friends, who will inspire, support and encourage each other. It’s All In The Feet! 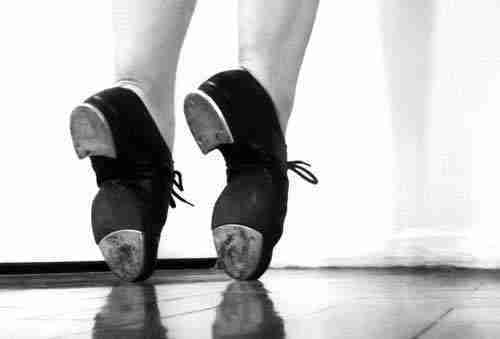 We strive to encourage the dancers at every stage, from the little twinkle-toes to the professional dancers. Students are rewarded for their hard work through their examination results and their excellent dancing abilities at competitions, festivals and shows.